We love to grill Italian sausages with peppers and onions and regionally the best brand name for them is DiRusso’s. We have always grilled the sausage links and they are delicious. When we found the patty version that of course lead to our DiRusso’s sweet Italian sausage patties review. DiRusso’s sausages are widely available around here, they are sold frozen in sweet, hot, mild and turkey versions. We have tried them all and we prefer the sweet and occasionally the hot. They come in a box with 8 either 1/4 pound links or patties in the package and cost around $8.00. 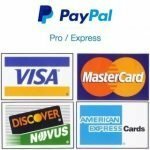 The package includes straight forward simple gilling instructions for frozen patties: Grill patties over medium heat for 4 minutes and turn and grill an additional 3 to 4 minutes. We followed the instructions but added a half turn 2 minutes into cooking on each side, for grill marks of course. At the end of the cook the patties were beginning to pucker, this is a sign of them overcooking. 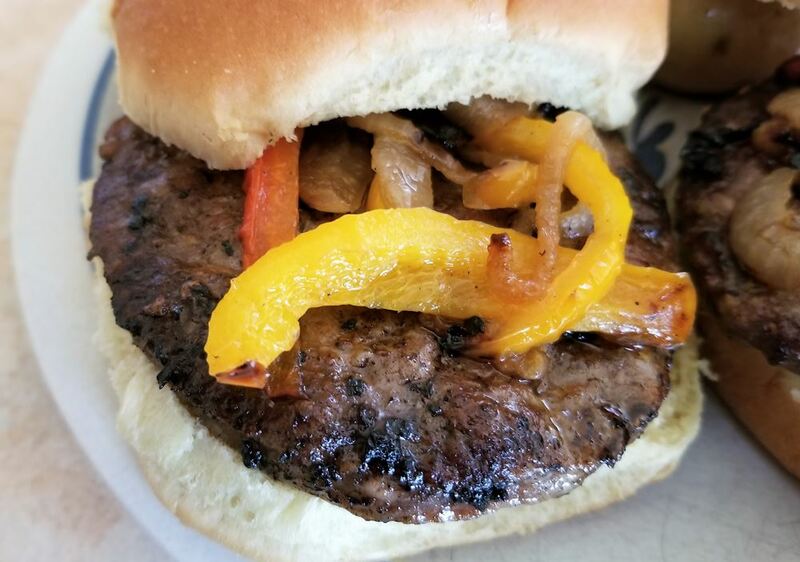 We placed them on a hamburger bun and topped the patties with grilled peppers an onions. As expected the DiRusso’s sweet Italian sausage patties had great flavor and the patty give you a different texture than the links. The did shrink a little but not nearly what you get with frozen hamburgers. They fit perfectly on a hamburger bun so there is less of a mess than with the links. 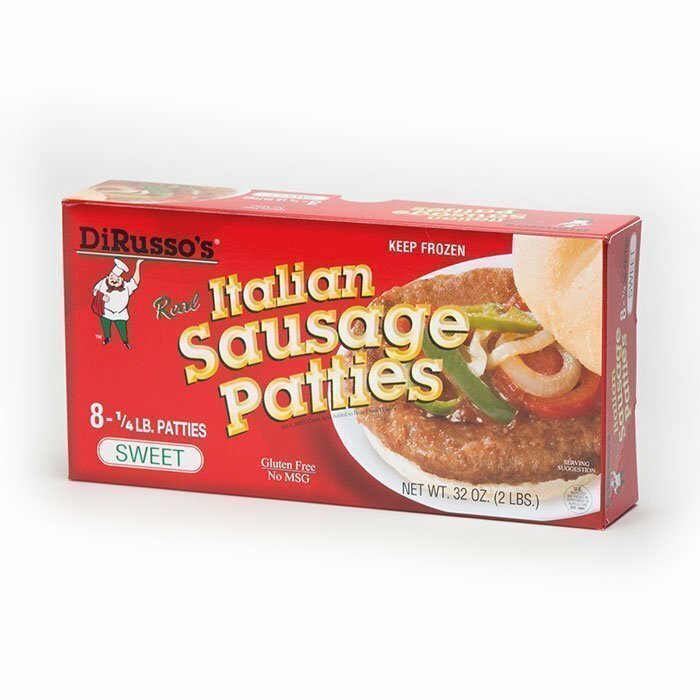 Nutritional information for the DiRusso’s sweet Italian sausage patties can be found on their website here. The Bottom Line of our DiRusso’s Sweet Italian Sausage Patties Review. 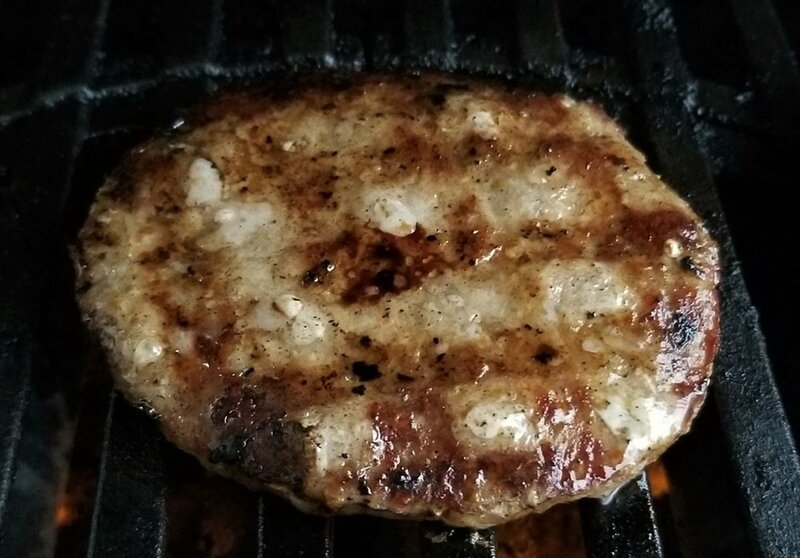 The DiRusso’s sweet Itialian sausage patties had all that great flavor you expect from DiRusso’s. The grill up extremely well and easily and would be perfect for tailgating. If your looking for something different to throw on your grill give these a try, you won’t be disappointed.